The perfect finishing touch to any look? 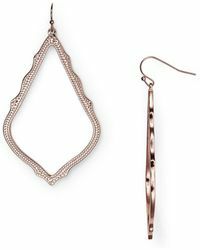 A pair of Kendra Scott Sophee earrings. 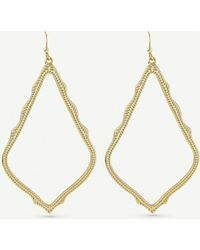 Defined by their pear shape and textured finish, these drop earrings tread the line between minimalist and bohemian. Whether you pick a gold-plated pair or a brightly-coloured design, Kendra Scott Sophee earrings will look just as good with vacation looks as they will with casual denim in the city.